Acid rain is primarily caused by sulfur and nitrogen compounds that are released by factories, cars, and especially coal power plats. These emissions can be carried hundreds of kilometers to effect ecosystems in other countries. Acid rain has harmful effects on plants, aquatic animals, and infrastructure. 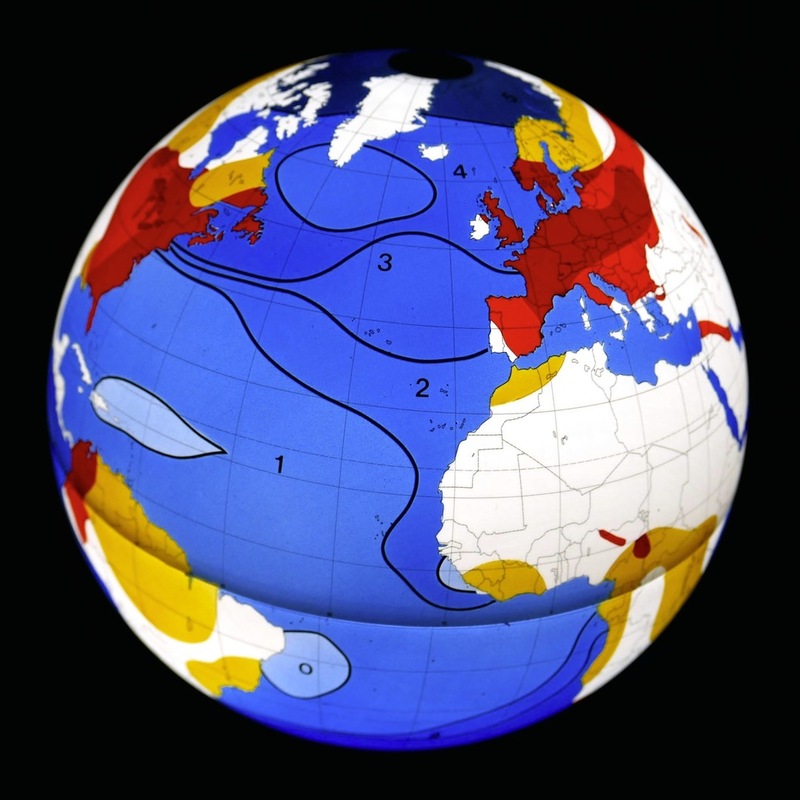 Three prevalence levels show orange, red and dark red. It is considered the leading cause of forest dieback. About ⅓ of CO2 caused by human activity is being absorbed by the oceans, decreasing PH levels, causing acidification. This interrupts biological calcification synthesis for shells and corals. Measured by aragonite prevalence, we see the lowest level (1) corresponding to the highest acidification.